The Textkraft Professional Update for iPad is available for download, just on time for the release of iOS 11. 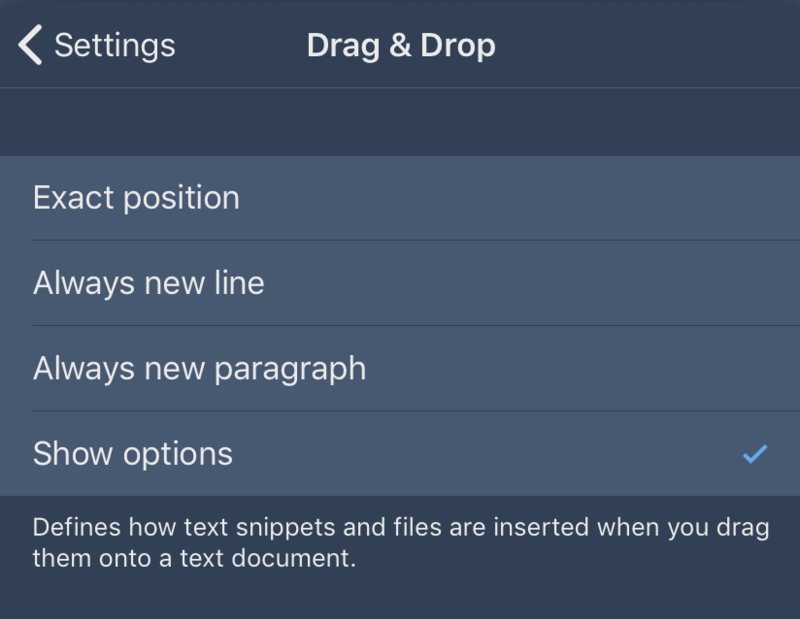 In addition to many corrections and optimizations for the new iOS, Textkraft now supports Drag & Drop in its professional version. Textkraft offers many storage options to store and retrieve your documents. When you want to use a cloud service, you can choose from Dropbox, Google Drive, iCloud (Documents), iCloud Drive, Microsoft OneDrive, Evernote and BOX. 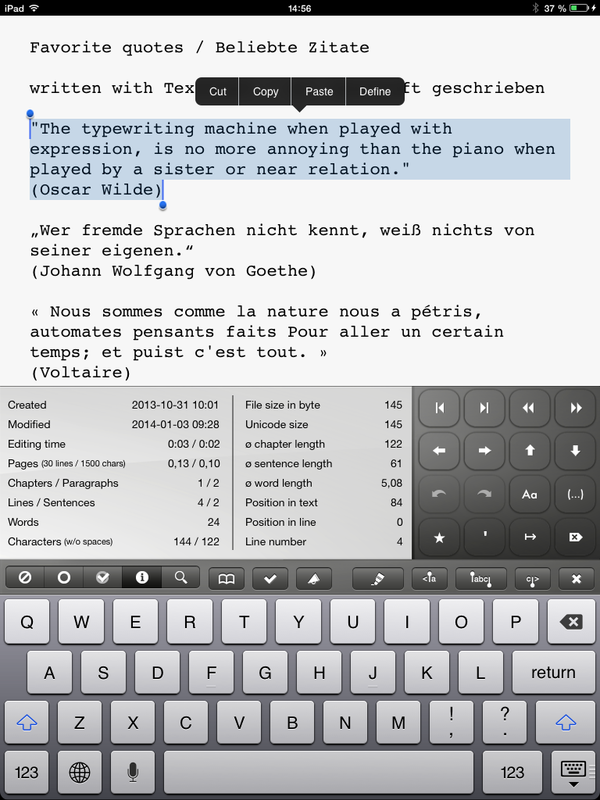 But Textkraft does not force you to use a cloud: Texts can be saved local on your device. 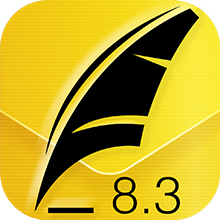 Unfortunately, the iOS update to version 8.3 has not only brought improvements. 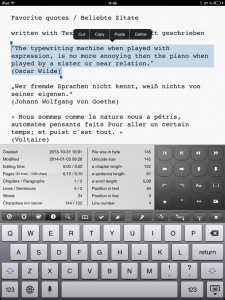 Some things, such as the internal handling of the on-screen keyboards, was very much changed. Changes that lead to problems for many apps. This short guide explains how to bring the cursor quickly and precisely to the required position. 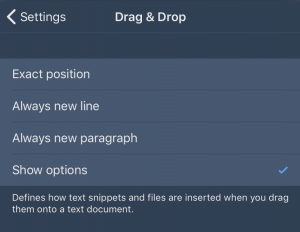 Textkraft offers many functions to place the cursor in one step to common document, line, sentence, word or character positions, without having to work with the slow magnifying glass directly in the text. Are you new to Textkraft? This one pager explains how to navigate the file system and load documents into Textkraft. It also shows how to access file system features like renaming, deletion, creating new folders and marking files as favourites. This one pager explains the Textkraft main view and toolbar.